Did the same to mine, on the same hoops too, although just recently gone to Road-5 on the rear and RS front....didn't notice a huge difference but was definitely a tad better in the tighter stuff. The RS is a very underated tyre IMHO. I have done this but not been out for a spin on it yet. Will get out once the salt is gone. 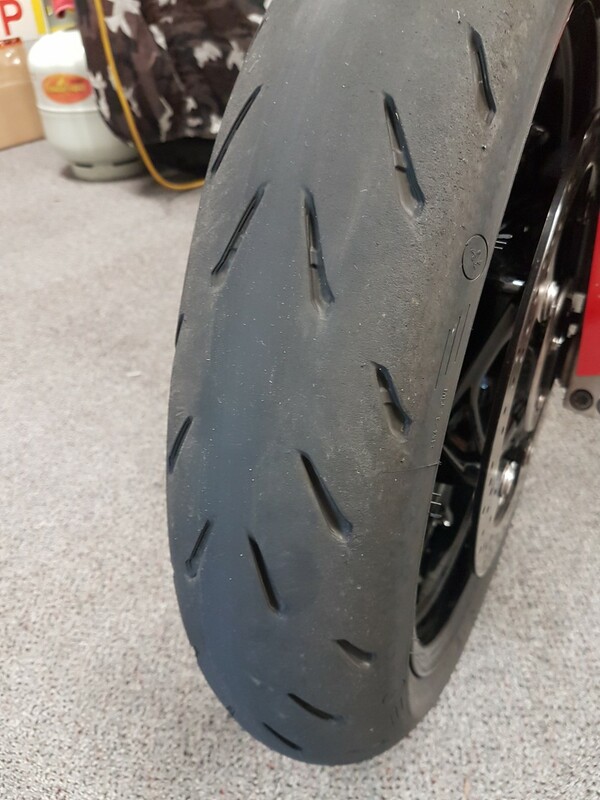 The tyres are great; these are the third type I have had on the bike and IMHO they are the best suited towards my ride style. Question is how long they will last. 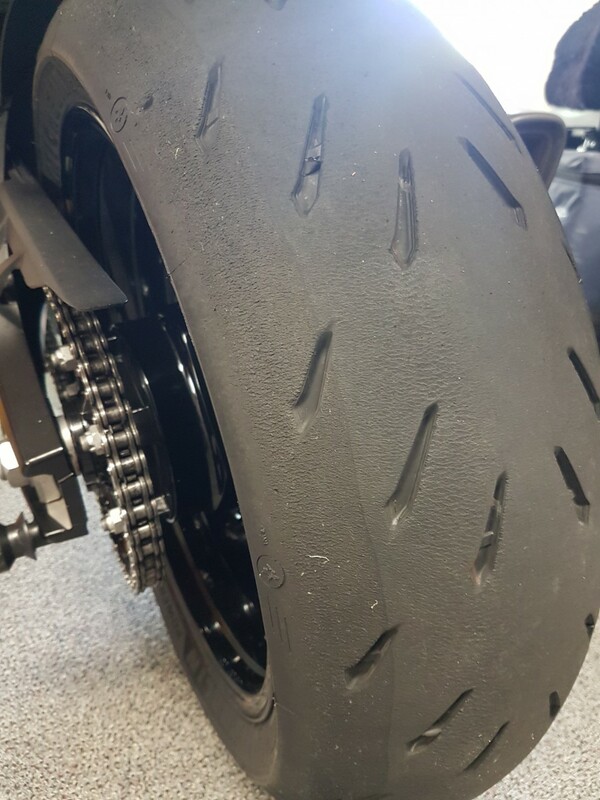 I believe the RS is a "supersport tyre" and as such I believe you're running to high a pressure. Stock pressures are 42r/36f.....I run 38r/35f... I find these pressures work fine one-up and the tryes warm up nicely. Two-up I run stock pressures. Does it still get the "speed wobble" or have you not been able to test it at high speed yet? So if I get this right dropping the front end will put more weight on the front, reduce the overall wheel base, make it turn quicker but it will reduce straight line stability? Surely everything is a trade off. if you want a quick turning bike it will be more unstable and if its stable then it wont turn too well. We're talking very small amounts, dropping the forks by 5mm would be similar to someone who is 15kg heavier sitting on the bike....although it should drop the whole bike front and rear by a similar amount. Is that MPH or KMH? Mine won't go over 155mph (satnav speed) and I've tried but the bike says no.